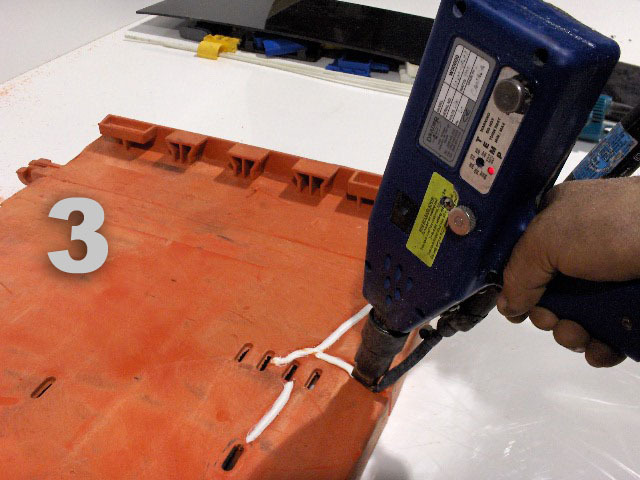 We work at very reasonable hourly rates on all plastic repairs, such as changing parts, plastic welding and cleaning. All parts and materials are extra. 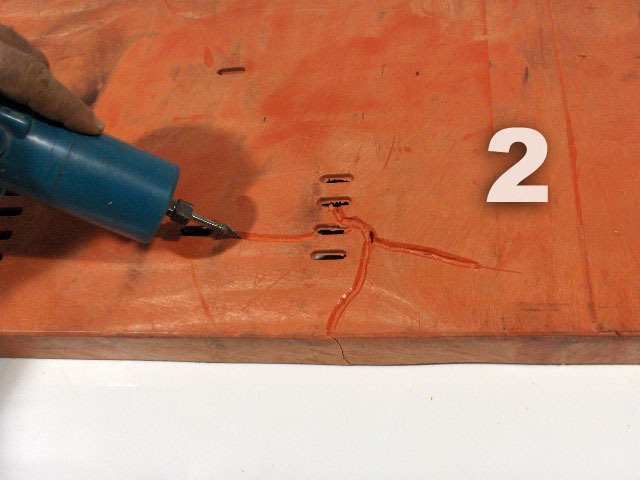 Above is a sequence of images of our Special Injecti-Welding Technique used to Repair/Weld cracks and broken parts of Boxes etc. First, the parts are aligned, then a V-groove made so the weld can be leveled off flush with the surface area after the welding is done. All plastic welding is satisfaction guaranteed. 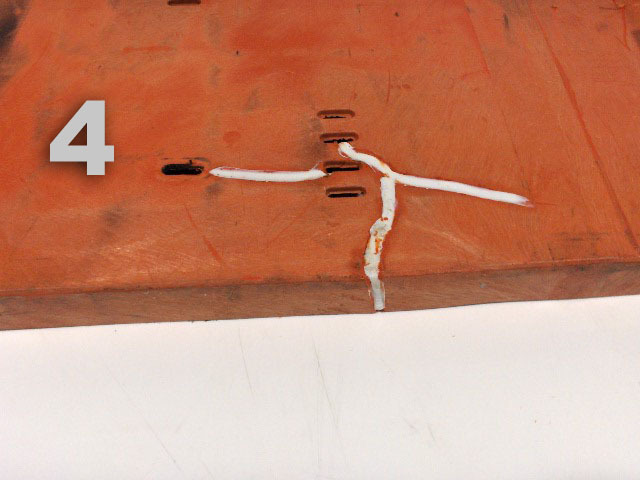 The colour white was used here to better show the Weld Process, but closely matching rods can be used to make the welds less visible. 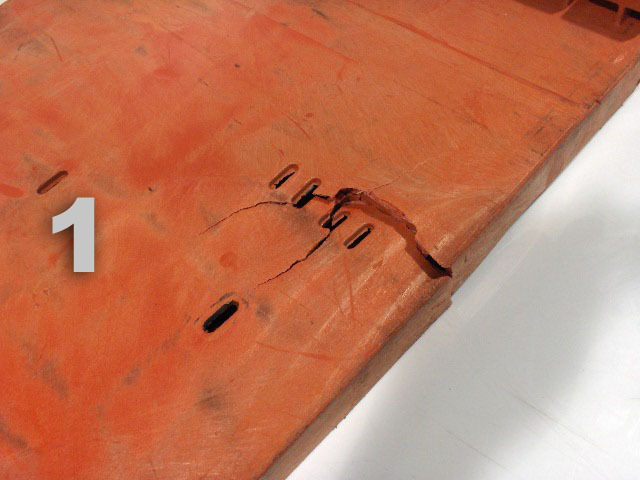 We can Repair Weld most any Plastic Products or Parts. Please contact us for your needs or requirements.